A coworker/friend of mine recently took her husband and 2 young boys to the Magic Kingdom for 1 day - the boys first time visiting and their first time since childhood. 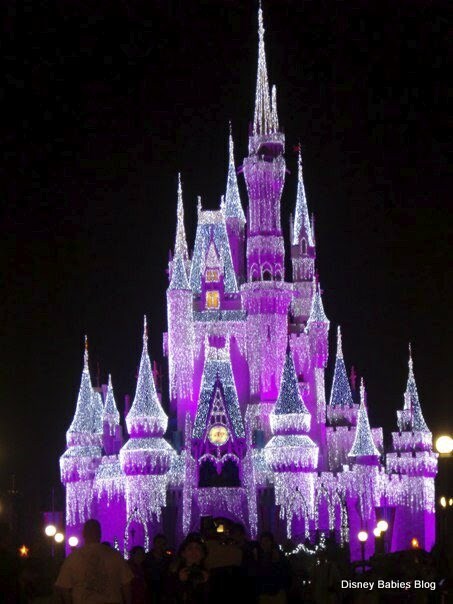 With a castle like that, how can you not find the magic? That I may never know. But my friend's husband - he didn't get it. He wanted more 'rides' and faster, more intense coasters. For those of us regulars, we know that for intense coasters, you need only check out Disney's Hollywood Studios - Rock 'n Roller Coaster or search for the missing yeti in Disney's Animal Kingdom's Expedition Everest. Though the Magic Kingdom has a couple of mountains, they're not the fastest or most intense. Space Mountain tops out around 35 mph. Not too scary when you think about it that way! I'll agree - the best coasters overall are probably at Islands of Adventure. But theme? Walt Disney World wins that hands down. However, my friend's husband wanted more flash and thrills. He wasn't convinced by his first trip. Probably doesn't help that it was a crowd level 8 on Touring Plans that day, being the Sunday before Thanksgiving. I don't miss touring in high crowds! The magic has captivated me for as along as I can remember. The walk down Main Street, U.S.A. and a step into the hub is all I need to be as happy as can possibly be. Rides - I love rides, but I've also traveled pregnant and have skipped every single E-Ticket attraction. And, I'm okay with that! The 2 boys - ages 3 and 5 (or 6?) had a BLAST. They enjoyed every parade and the older even asked to stay for the fireworks. And the dad thought they'd give up before dinner! Have you ever had a first timer not get it? What's your take on magic vs. technology at the Disney Parks? I've had almost the same thing happen to me. The problem is that people who are first timers are either expecting thrill rides or characters to mob you as soon as you walk in. Of course neither is true. It's not a theme park. It's DISNEY WORLD! It's all about seeing the kids faces when they experience the characters on the rides or in person and the adutls remembering that feeling too! I am a father of 3 and going in February. This is the first time it will be just the 5 of us....usually there are more. I can not wait to experience it again through their eyes! My wife jokes that she's not sure who is more excited me or the kids....being a former CP/Cast Member i can point out several things that the common person might miss which makes it even better!!! When Walt created Disneyland, he wanted a place that parents and children could have fun TOGETHER. Not too many 3 & 5 year olds on the thrill rides. 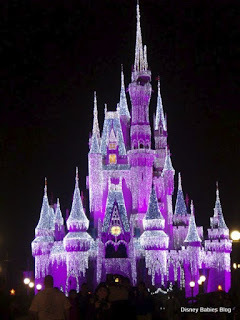 Magic Kingdom is the East coast version of Disneyland, it's not supposed to be about big thrills. Magic Kingdom is a giant playground where you can have fun with your kids. Perhaps he simply went in with unrealistic expectations. It sounds like he would have enjoyed one of the other parks better. We have family members that still 'don't get it'. I think people see it as just an amusement park. If you come thinking that you may be disappointed. It's when you slow down that you 'get it'.